As Spring approaches you might want to start getting back outdoors for some fun. Holland comes to bloom quite early in the year, their tulip festival is held in January. Since there truly is no better way to welcome the turning of the season than getting out there to smell the flowers – we direct you towards the Netherlands for Spring 2014. Each of the P&O ferry destinations are in the art of chocolate making. France, Belgium and the Netherlands each have dynasties of chocolatiers so there isn’t really a better place to go in the world for Easter. The Dutch are the ones responsible for making chocolate available to the masses. Their process brought the change from drinking chocolade to eating it in bar form making it a lot more healthier and cheaper to consume. 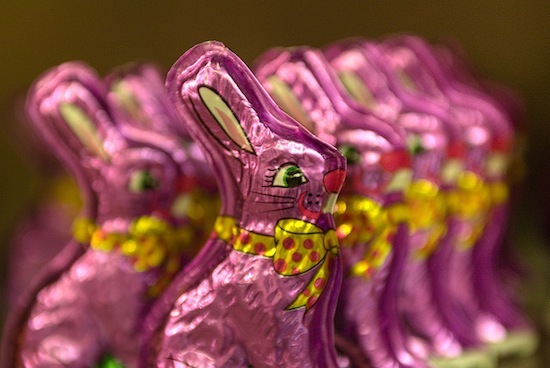 It’s much easier to find a chocolate tour in Belgium but if your desire is Easter eggs then a trip to Holland will give you all the choice you need. National museum weekend happens on the first weekend of April each year. The doors to over 500 museums are opened to visitors for no charge whatsoever. It isn’t just museums that are available, you’ll also have access to castles, theatres and more. Many of these locations host special events to mark the occasion, you’ll find activities for the kids, overzealous tour guides and lots to learn about. Having such a large scale occasion free of charge is naturally going to draw lots of crowds so it’s best to book early and arrive early if you want to see the more popular sites. April brings the return of the Alkmaar cheese market to Waagplein square. This may not be enough for you to spring out of your chair and start packing a bag but the cheese market is almost as old as the city itself. It’s not just stalls with glorious golden blocks for sale: everyone from the throwers and weighers to the marketeers are part of an ancient guild with traditions dating back centuries. Essentially the whole thing is a bit of a show and you get to pick yourself up a bit of cheese at the end of it, not too shabby eh? The Alkmaar Cheese festival is run every Friday from April through to September starting at 10am. There’s over 2,000 cheeses put on sale and you can take guided tours for the more historic aspects of the market. The market comes highly recommended as there’s plenty to see, smell and taste as well as a vibrant and colourful atmosphere. The Keukenhoff flower gardens open late in March and you only have a mere 8 weeks until they close on May 18th. Keukenhoff offer a unique floral experience with over 7 million bulbs coming to bloom for the pleasure of attendees. If the weather is right you can anticipate a fantastic day out, the gardens are open from 8am to 7:30 in the evening and you’ll have over 32 hectares of garden to explore. 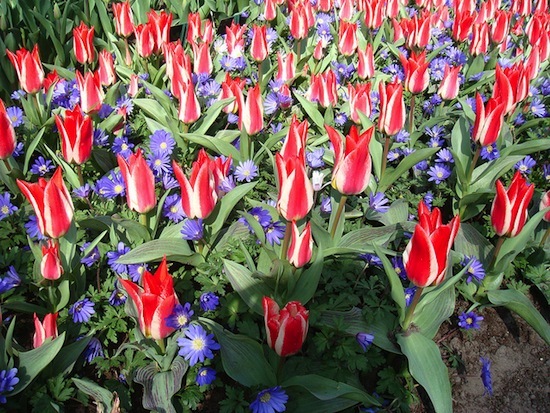 Holland may be famed for its tulips, and there are plenty of them here, but there is also a wide variety of flowers in bloom from roses and daffodils to irises, lilies and orchids. You’ll be able to pick up some tips on growing for your own garden as well as a little something to plant as well. Each year Keukenhoff attracts around 800,000 visitors, it is well located between Amsterdam, the Hague and Leiden: just a 30 minute drive, so most of the major tourist areas are well within reach. The opening weekend is especially hard going on traffic, one excellent recommendation is to take to cycling for your tour of Keukenhoff. The air itself turns to perfume as you whizz through the bright fields and Holland’s naturally level landscape makes it easy to cross the distance on pedal power alone. Holland’s Flower Parade is an annual event being held on May 3rd in 2014. The 40 Km stretch of road between Noordwijk and Haarlem will host a grand procession of cars and floats, heavily decorated with flowers, in the 12 hour journey starting at 9 o’clock. The parade is free for all, even the floats are decorated by volunteers! If you miss the parade or just want to get another look then the floats are on show in Haarlem until five o’clock the next day. What used to be called Queen’s day is now known as King’s Day, celebrated on April 27th rather than on the last day of the month. For many this is the major party event of the year in Holland. Cities proudly orange up and what seems like the entire country takes to the streets to celebrate the Dutch monarchy. You’ll want to book your accommodation early, the party atmosphere in major cities like Amsterdam and the Hague draw a lot of crowds so you’ll be hard pressed to be close to the action come the end of the month. During the day unregulated markets and bars are erected down the streets of Amsterdam. 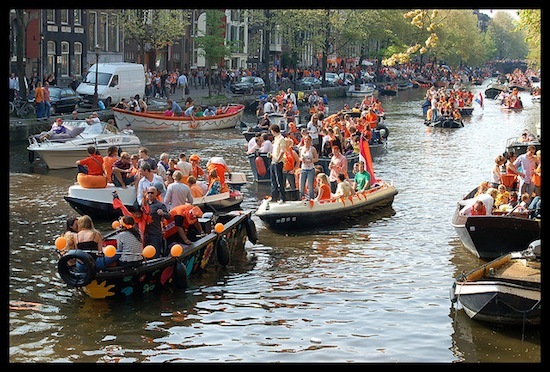 There’s also a parade down the canals of waving, brightly coloured orange figures. Live music is performed at Museumplein and the main Amsterdam market takes place in Vondelpark. King’s night is taken to most enthusiastically by the wilder partiers. Street parties run late in to the night, dotted all over Amsterdam and only seem to come to an end once the markets start opening again in the morning. For a handheld holiday walking through Dutch flower gardens or a wild nights partying take a P&O ferry to Rotterdam.